Spring is a busy time of year for Girl Scouts. Girls are wrapping up the cookie sale, attending program events, and planning things like troop trips and other fun activities. In all the bustle, it’s easy to delay planning for next year. You’ll get to it later, right? But planning for next year is incredibly important. Why? Because girls (and parents) who know that exciting things are coming are more likely to come back. So let’s build that excitement with these 4 reasons to be excited for next year. New Challenges! Each year our returning girls grow more confident, more skilled, and more courageous. And that means they’re ready for new challenges! Bridging means Brownies can finally climb to new heights on our climbing walls, Juniors can test out their archery skills, and Cadettes can explore ziplining on our high challenge courses or try backpacking. And these are just a few of the awesome activities girls can try. Our 2016-2017 Program Event Guide will be online in June for a preview of what’s coming next-mark you calendar now! New Skills! Every level has awesome skill-building badges for the girls to explore. Check out the badge explorer with your girls and get them excited about next year. Where else are girls going to earn their Home Scientist, Camper, or Woodworker badges? By fall 2016 we’ll even have some new badges from the Art in the Outdoors Girls’ Choice badge topic. New Trips! Every year girls grow is a chance to expand their horizons with adventures to new places to try new things. So start brainstorming now about awesome trips to take next year. Check out a few of our more popular overnights and trip destinations. If girls know that as Cadettes they’ll go on a horseback riding overnight they’ll never forget with Willson in the Wilds or have a chance to test their mettle as White Water Warriors as Seniors at Resident Camp, they’ll be sure to make Girl Scouts a priority! Celebrate 100 Years of Cookie Sales! In the past 5 years we’ve celebrated the 100th anniversary of Girl Scouts (2012), the 100th anniversary of Highest Awards (2016), and now it’s time for cookies to have their moment. More information on the cool things coming to celebrate this milestone. Next year your girls will tackle new things, help their communities, and get one step closer to being the leaders of tomorrow. And we’re excited about all of that! Our organization cannot exist without those wonderful, wacky, and awesome girls and we cannot wait to see what amazing things they’ll do next year. So what are you waiting for? 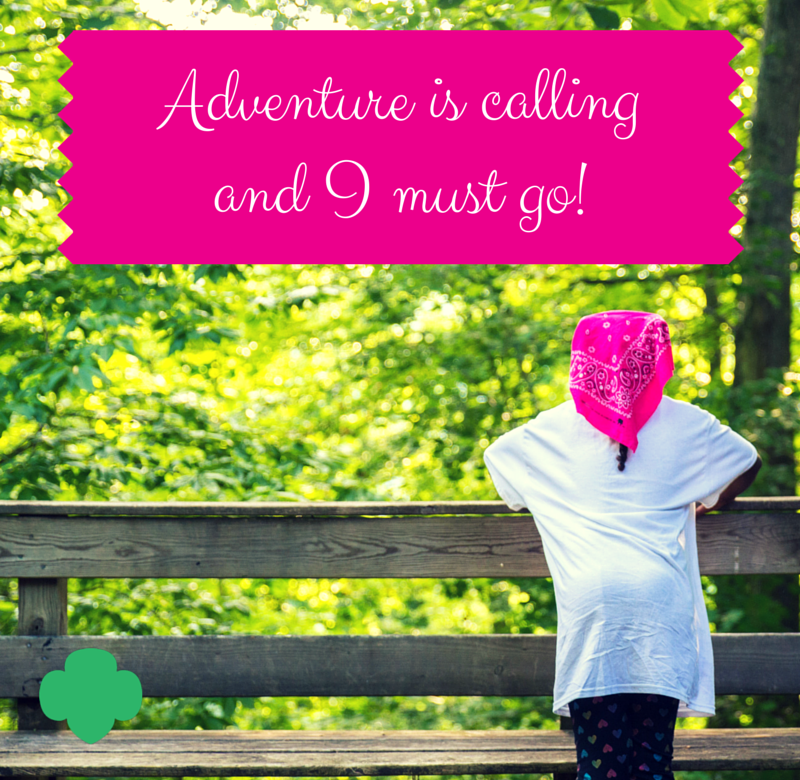 Start planning for next year with your Girl Scout!